Imagine owning an object that had the power to change for better the water you drink, the food you eat and even the people you know? 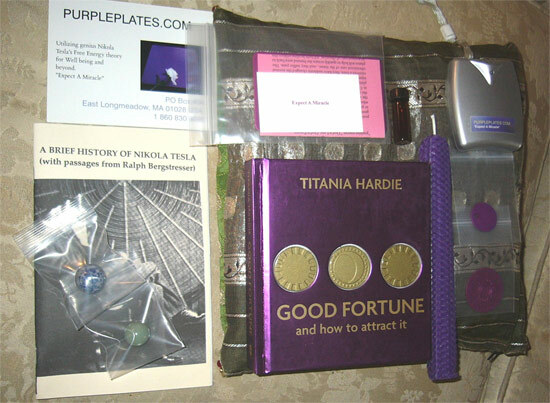 It sounds like a plot for a science fiction movie, but there have been some incredible claims and results in conjunction with Purple Energy Plates, sometimes called Purple Harmony Plates, in recent years. 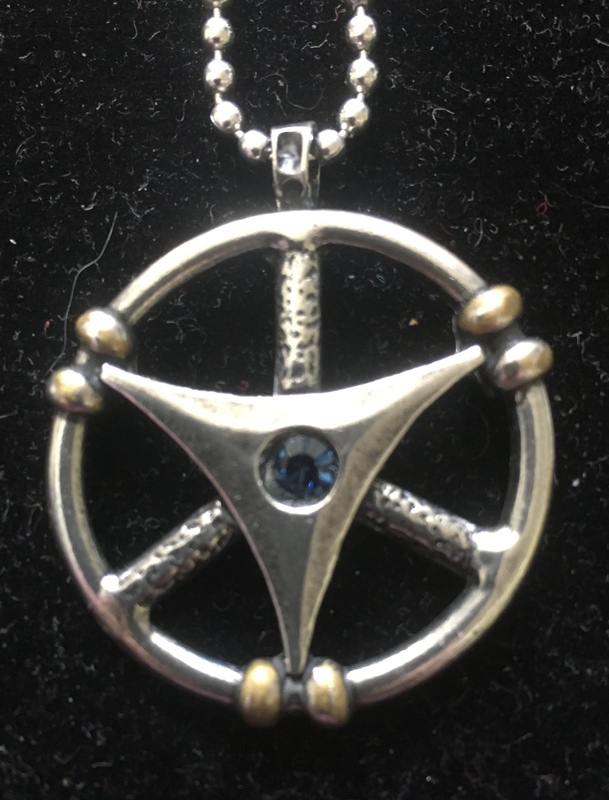 Although the Tesla- inspired plates have been used for over 28 years they are just now gaining recognition due to the New Age era of miracles and spirituality. 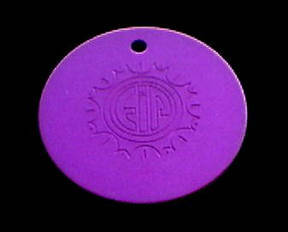 The violet colored plates are said to emit positive energy and affect certain objects placed on them. They range in size from 1" to the large 12" X 12". "All matter comes from a primary substance, the luminiferous ether," stated Nikola Tesla. He sensed the universe was "composed of a symphony of alternating currents with the harmonies played on a vast range of octaves," wrote Margaret Cheney. "To explore the whole range of electrical vibration, he sensed, would bring him closer to an understanding of the cosmic symphony." (From Tesla- Man Out of Time.) Tesla understood that the cosmic symphony is resonance. Nothing exists in the Universe that does not have harmonic vibration. In realizing this Tesla influenced the production of personal oscillators that vibrate in tune with "the luminiferous ether." Thus, the creation of Purple Energy Plates. The atomic structure of Purple Plates has been altered, allowing the atoms and electrons of the aluminum to resonate in tune with the basic energy that causes the particles of every atom and molecule to be in constant vibration. Once the structure of the atoms of the aluminum have been altered, they will remain in that condition- possibly indefinitely. The plates create a positive energy field around themselves that will penetrate any material substance by osmosis. 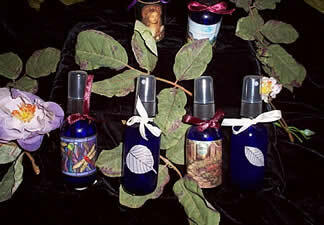 This energy is said to be beneficial to all life..plant, animal or human. Science has proven that by projecting love or positive energy to a plant, the plant will flourish. The plate energy will also do the same thing to plants. Burns, cuts, aches and pains involve a sudden change to the normal vibration rate of tissue. The theory is that the energy around the plates helps to accelerate the healing and thus return the injured area to its normal rate of vibration. Among the plates many uses are that they are worn to raise personal energy levels and to protect one against electromagnetic radiation (EMR) in the environment and from EMR- producing equipment, such as computers, televisions, etc. The life-force energy of the plates can be measured by radionic equipment. When using this measurement, the energy level of an individual who has begun to work on him/ herself might oscillate (or vibate) around 25,000 cycles a second. When this person holds a purple plate, the reading immediately increases to 90,000- 95,000 cycles a second. It will not remain at that level, but with continual use of the plate, it will slowly increase to a steady 100,000 cycles per second. All faith heal- ing utilizes this higher energy. In his book "Beyond Ascension" Joshua Stone refers to the plates: "One of the most extraordinary tools I have found to raise my overall energy and even light my quotient is the Positive Energy Plate. I am not one for gadgets. I have seen them all and I use almost none of them. The one exception I make is the use of the purple plate, which I am sure many of you have seen. It is actually a free-energy plate. The Purple Plate not only cleared the food of all negative energy and negative residues such as pesticides, but also energized the food. Now I put all my food on it and contnue to be amazed." 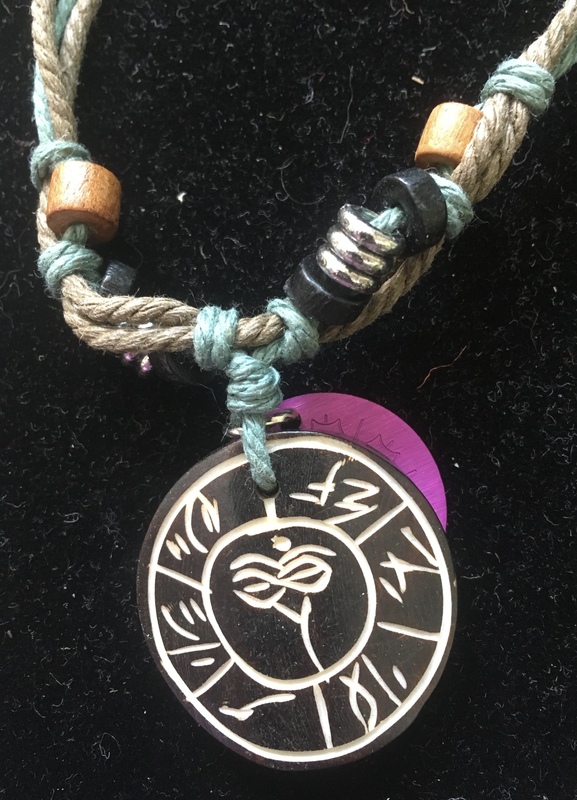 Stone also goes on to claim that no matter what your diet is, if you use the Positive Energy Plate it will guarantee that you will get the positive energy that you need. "...I don't own stock in the company, nor do I know the person who invented them. I am just very excited about all the ways this Positive Energy Plate can be used." Many people use the large plates in their refrigerators to enhance flavor and freshness. By placing a glass of water on a small purple plate for approximately 5 minutes, you in- duce the high spiritual vibration of the seventh color ray (violet.) Violet is also the color of the flame of Saint Germain, and corresponds with the 7th energy center in our bodies, also known as the crown chakra. Some people sleep with a plate beneath their pillow to ensure restfulness, even when one has only slept a short time. Others cannot sleep with the plates nearby, as they will remain awake. Wearing a small plate will cause most people to feel an increase in energy. Others find the best results wearing them for short- er periods of time, perhaps 30 minutes or an hour each day. The time spent wearing one all depends on the person and experimenting with the plates will let you know how much your particular chemistry is influenced by them. My own experience with purple plates, for the past 2 and a half years, has been an adventure to be sure. I regularly place all my drinking water on the plates and find that when I drink this water I am noticeably more energetic and less fatigued. However when I tried to sleep with a small purple plate under my pillow I suffered insomnia. I also tested placing inexpensive wine on the plate after reading that it would much improve the taste, and was nothing less than amazed by the results. Strangely though, others claim that it will turn quality wine to vinegar, and a mixed drink, such as vodka and soda, to mere water. When I first read about purple plates in Linda Goodman's Star Signs book, I was hesitant to believe in the seemingly miraculous properties of these bright, strange looking plates, but I was extremely curious to see if they did in fact influence all she claimed they would. Goodman mentions that strangely the person who created the plates with Nikola Tesla preferred to remain anonymous. However, after the inventor's death the company which produced the plates decided to give him due credit. The inventor, Ralph Bergstresser, was born in 1912 in Pueblo, Colorado of German parents who immigrated to the United States. He was extremely interested in free energy, or Zero Point Enery as it is now called in scientific circles. Bergstresser carefully studied anything written about Nikola Tesla's experiments, and attended many lectures given by Tesla. At one point they were intro- duced, and quickly became friends due to like interest in free energy. Over the course of the next 20 years until Tesla's death they had numerous conversations on the process of tapping free energy. After Tesla's death Bergstresser was able to discover the secret of altering the aluminum in the Positive Enery Plates from clues and notations in Tesla's notebooks. 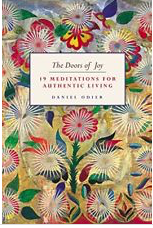 Also instrumental in leading Bergstresser to the discovery of healing energy was an incident which took place while he was a guest of a maharaja in India some 50 years ago. Wrote Bergstresser; "The maharaja had an 8 month old son that was very sick. I asked if he was going to get a doctor. He said 'no, we have sent a man to obtain some holy water from the Ganges River.' In 3 days, the man came back with one gallon of water. They fed the water to the sick child and...and like magic, the child was healed and back to normal. To me, a miracle is an inability to understand a scientific fact. How could the water cure the child? That was the problem. It was this incident that triggered my curious mind to find the answer and this led me into the present knowledge. " He goes on to explain why the water of the Ganges purportedly has the power to heal. " For thousands of years the native population of India have used the water from the Ganges for healing. Gallon jugs of this water from the Ganges have been stored for over half a century at thw University of Calcutta, and are still completely free if bacteria. What causes the water to have such fantastic healing powers? A tributary of water, that event- ually finds its way into the Ganges River, originates and begins its long journey from high into the Himalayan Mountains. It is there, high in the mountains where the atmosphere is clear and clean, that nature begins the natural process of creating special water. This process starts when the mountain and its snow cover is bombarded by the higher energies of the Universe: known as cosmic energy. This bombardment by cosmic 4th dimensional energy alters the atomic and molecular structure of the rocks and granite that constitute these magnificent mountains, and in turn, changes the chemistry of the snow and water as it flows over them and down to the lowlands. This chemistry change is adding the Life Force Energy to the water. It is the Life Force Energy, which has now become an intricate part of the water, that produces the healing miracles of the Ganges River. The key to this phenomenon is now known and utilized to produce the energy plates and products." Perhaps most curious to me in Linda Goodman's description of the plates were the para- graphs concerning the influencing of persons with the plates. Within the more than dozen pages pertaining to Purple Plates in her book, Goodman writes that the plates possess the power to influence a person through the use of a photograph placed face down on the surface. She uses the example of a friend's husband who was an alcoholic prone to negative behaviour, and who was badly in need of positivity. Soon after using the husband's photograph on the purple plate, he began a recovery which included sobriety and hopefulness. However, Good- man, as well as others, warn that leaving a photograph on the plate for any more than 15 minutes to a half hour at a time can cause nervousness or anxiety in some people. She also warns that attempting to influence a person in a negative fashion will not work. 1. Place a small sized plate in a pocket or purse for more energy. (No body contact is necessary. 2. Place large plate in refrigerator (center shelf is best.) Food, with the exception of fresh meat and fish, will stay fresh longer. 3. Place beneath sick house plants, or water sick plants with water which has been placed on plate overnight. 4. Place small plate in dog or cat bed, or under food dish. 5. To energize crystals, place on purple plate for 12 hours. 6. Use the plate on injured area of any living thing. 7. Travellers can carry a small plate to energize their drinking water and eliminate illness and stomach upsets. 8. Small plate placed on forehead to alleviate headache pain, on joints to alleviate gout and arthritis pain, on stomach to stop nausea. 9. Placed on forehead in the morning will help you to remember your dreams. Also place on forehead to promote deeper meditation. I have also read testimonials from plate users who claim they help with cramps, headaches, stomach upsets, stiff joints, torticollis, swelling, ringworm, "clicking" jaw, alcoholism, anxiety, colic and depression. It's not surprising that the complex genius of Nikola Tesla would influence a "free energy" device. Tesla, born in 1856 in the village of Smiljan, province of Lika (Austria- Hungary) was an eccentric but highly intelligent inventor. He created many of our modern day conveniences, including the AC, or alternating current (the basis of almost every electrical device), X-rays, flourescent lighting, the induction motor (which utilized his rotating magnetic field principle) and terrestial stationary waves, which he regarded as his most important discovery. By this discovery he proved that the earth could be used as a conductor and would be re- sponsive as a tuning fork to electrical vibrations of a certain pitch. At one time he was certain he had received signals from another planet in his Colorado laboratory, a claim that was met with derision in some scientific journals. The Tesla coil, which he invented in 1891, is widely used today in radio and television sets and other electronic equipment for wireless communication. It is also now known that Tesla's radio patents predated those of the credited inventor, Gugleo Marconi. Tesla's theories were met with increasing criticism, especially after his claims that he could split the earth like an apple, and that he had invented a death ray capable of destroying 10,000 airplanes from 250 miles away. Due to lack of funds (perhaps because of his seemingly odd personality traits which included a progressive germ phobia) most of his ideas remained in his notebooks, which are still studied by engineers today. Tesla died in New York City on January 7th, 1943, the holder of more than 700 patents. The Custodian of Alien Property impounded his trunks, which contained his letters and laboratory notes. Eventually these were inherited by Tesla's nephew, Sava Kosanovich, and later installed in the Nikola Tesla Museum in Belgrade, Yugoslavia. 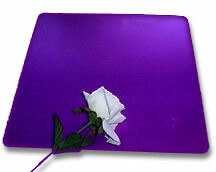 The incredible life work of Tesla lends much credence to the faith in the Purple Plate's healing properties. Although the exact process of creating these plates seems to be kept confidential by the makers of them, I have personally found them to be a remarkable tool for well being.